I remember being absolutely staggered at the time. It was the mid-1980s, 15+ years since I’d acquired my imperfect and unique looks. Nightmare on Elm Street had broken box office records and spawned a new genre of horror movies. 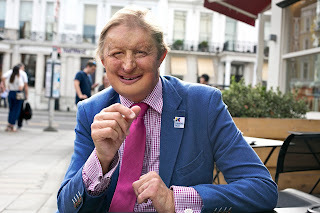 I was minding my own business walking down a street in London when a wag on a scaffolding rig shouted: “Hi, Freddy, you nasty piece of work” to much applause from his sandwich-eating mates. They were much surprised, I think, by my speedy and gently assertive yelled reply (not angry as they probably expected) as I walked on: “Actually, my name’s James”. I held my head up, adopted a resilient mindset (aka ‘a thick skin’) and moved on untouched. 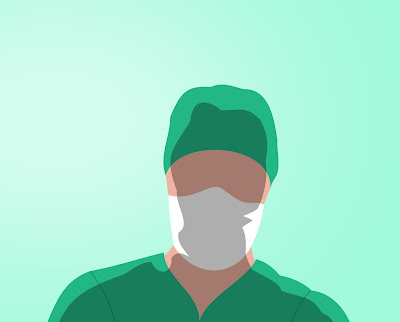 I do have some passing likeness to Freddy Krueger, I suppose: serious facial scarring (after a car fire when I was 18) and a sub-digital left hand. But that’s as far as it goes. 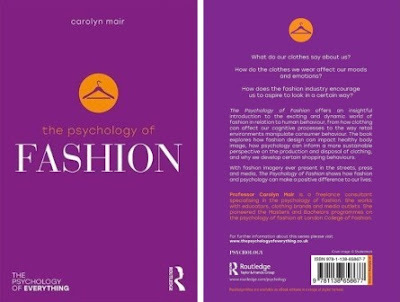 Over the past six years, Prof Carolyn Mair PhD, has brought attention to a previously neglected area of Psychology: Psychology for Fashion. Prof Mair’s new book, The Psychology of Fashion, was published last week as part of Routledge’s Psychology of Everything series. The book is designed to engage a general audience by exploring the reciprocal relationships and influences between fashion and human behaviour.